Magnetic calendars are referred to several times a day, whether on your customer’s fridge at home or on their filing cabinet at work. 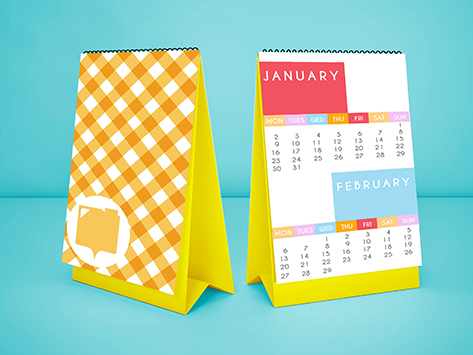 There’s no way the calendar (and your advertising message) can be lost when it’s magnetically attached to furniture your customers are using every day! Calendars come with a magnet already affixed, ready to be stuck straight up.